Resorts World Manila had proven that they can actually maintain a strong competitive reputation in the local theater scene when they ventured in the industry a few years ago with musicals such as Kaos, The Sound of Music, The King and I, Cinderella and the well received Priscilla: Queen of the Desert. 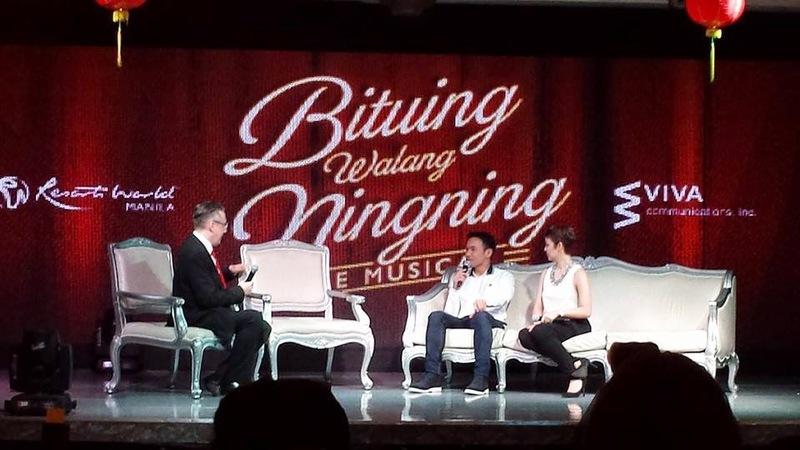 Now fresh from the success of Priscilla, Resorts World Manila is back, but this time with an original Filipino Musical -- Bituing Walang Ningning the Musical. 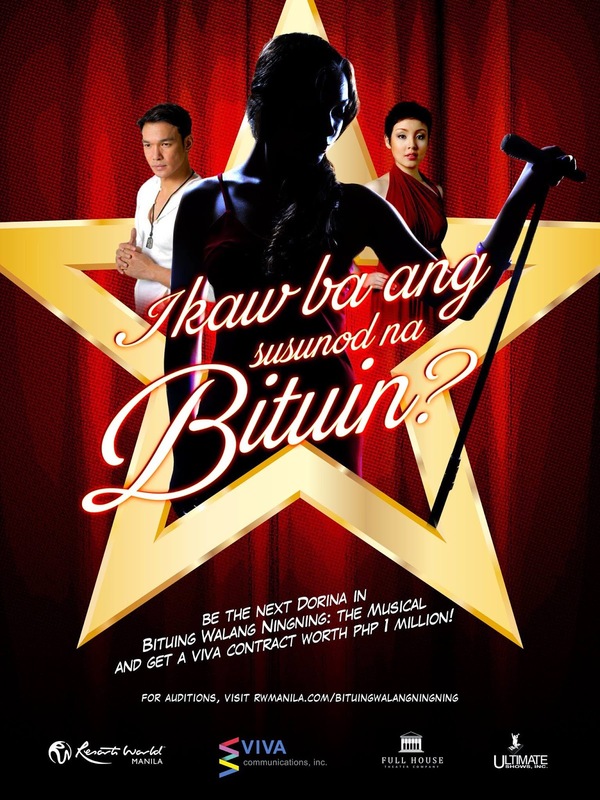 A story originally told over a serialized comic strip by fictionist Nerissa Cabral, Bituing Walang Ningning was made into a blockbuster movie in 1985 starring Sharon Cuneta, Cherie Gil and Christopher De Leon and was then re-made into a hit television series back in 2006 with Sarah Geronimo, Angelika dela Cruz, and Ryan Agoncillo playing the lead roles. Considered as one of the most iconic movies of the 80's, now it returns after 30 years on stage. To be directed by Freddie Santos with the Musical Direction of Willy Cruz, Bituing Walang Ningning will be produced by Resorts World Manila and Full House Theater Company in cooperation with Viva Communications Inc. Resorts World also announced that Cris Villonco will be the new face of Lavinia Arguelles originally portrayed by Cheri Gil (1985) and Angelika dela Cruz (2006). Joining her is Mark Bautista, fresh from his stint in London for "Here Lies Love" as Nico Escobar previously played by Christopher De Leon (1985) and Ryan Agoncillo (2006). Resort World Manila decided to have an open audition for the role of Dorina Pineda, previously played by the Megastar Sharon Cuneta (1985) and Sarah Geronimo (2006). I'm really glad that Resorts World is living their vision of presenting home grown talents and putting it into the next level by staging a local material. And with the success of original Filipino plays/musicals lately that features OPM (Rak of Aegis, Sa Wakas, Ido Bidoo Bidoo etc.) or adapted from movies (Bona, Himala etc. ), I guess it is also time that Resorts World go with the flow. I just wish this adaptation won't just become another second rate trying hard copycat and instead they should aim to elevate its legacy as of the Philippines' classics. There are still no exact play date for the production but of course they are hoping that they can stage it this year. But if they fail, I can actually understand. Staging an original musical is not easy. I just hope they take time to make it good. I know they can. For those who wants to join the audition for the role of Dorina, you can visit this link for the instructions and application forms.